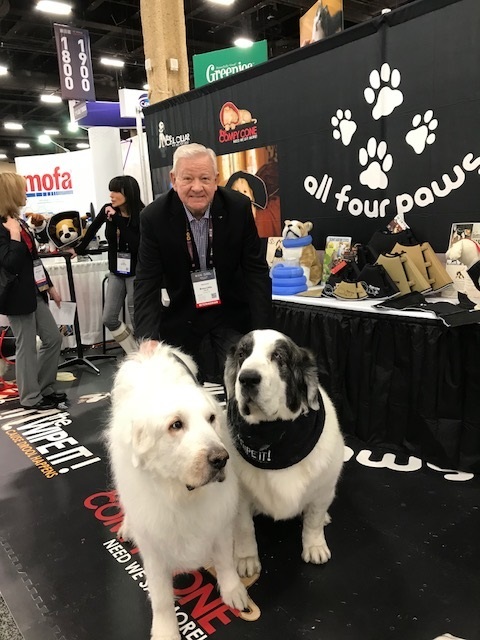 While recently attending the Western Veterinary Conference (WVC) in Las Vegas, Nevada, I was impressed by the number of new and innovative products that veterinary pharmaceutical and veterinary medical equipment companies have developed. 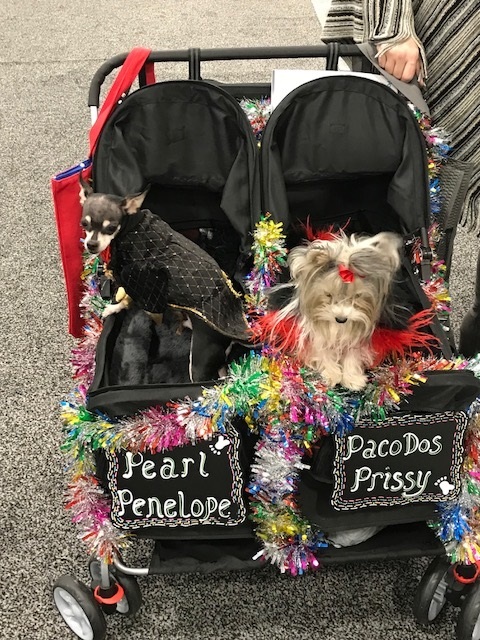 The WVC is one of the largest veterinary conferences in the world that attracts more than 14,500 attendees from the veterinary industry world-wide. This year’s crowd of attendees included doctors and industry representatives from 36 countries. It is a gathering where new products are frequently launched to the profession as animal hospital managers are contemplating the year ahead. While there has always been research and development departments in most veterinary industry companies, the cost of developing a new pharmaceutical or equipment product has not kept up with the research and development found in human medicine. The costs for the extensive research that is necessary to gain approval by the U.S. Food and Drug Administration’s approval process is quite expensive and therefore inhibits many companies from venturing into the research necessary to bring new products to the market. This fact creates a situation where many times veterinarians do not have access to equipment and pharmaceutical products to treat our pet family members. I was pleased to see many new products being promoted at this event. To see more about the Conference, go to http://www.wvc.org. Perhaps the item that caught my attention the most was a product to disinfect animal hospital tabletops, counters, floors and equipment named Clorox Healthcare Fuzion™ Cleaner Disinfectant. This product comes in a plastic spray bottle that delivers the disinfectant mist over surfaces both on flat and vertical surfaces and is kind enough to the skin to use to disinfect hospital workers hands. This is a very important trait as bacteria and viruses can be passed from animal to animal by the hospital staff handling your pets. Fuzion™ Cleaner Disinfectant comes ready to use with no mixing and is advertised to kill more than 50 microorganisms including viruses such as parvovirus, bacteria and fungi. It has a low odor level and can be used on hospital and kennel equipment and furniture without damage to the surfaces. Fuzion™ is a product that all pet owners can keep around the house to clean and disinfect pet furniture, crates, toys, water bowls and food dishes. To find out more about Fuzion™ go to http://www.cloroxhealthcare.com. Another product that caught my eye was VET∙CBD, a pet cannabis. This company, founded by a veterinarian, claims to formulate cannabis from various flowering plants that contain cannabinoids or oils that are produced by the plant that interact with endogenous receptors located in the body to provide medical benefits to the animal. These receptors can be found in the brain and other central nervous system locations, as well as the gastrointestinal tract, immune system, liver and skin. These receptors play an important role in appetite, metabolism, pain, mood, inflammation and allergies. The VET∙CBD Company lists therapeutic uses of cannabis in pain relief, including arthritis and nerve injuries. Pets can also have various forms of anxiety, such as separation anxiety, which often results in excessive barking or destructive behavior when left alone. Noise anxiety from thunderstorms or fireworks is frequently seen in dogs and cats and according to VET∙CBD can be helped by giving them cannabis oil. They also claim that cannabis has an anti-inflammatory property that helps decrease inflammation in many conditions including arthritis, inflammatory bowel disease, asthma, allergies and nausea caused by liver disease and cancer. To find more about VET∙CBD go to http://www.vetcbd.com . There are different kinds and concentrations of medical marijuana sold in legal pot dispensaries depending upon the source and the purpose for which it is intended. Tetrahydrocannabinol, or THC, found in the marijuana plant is the ingredient that produces the feeling of euphoria or a high in humans. The hemp plant, as well as many other plants, contain cannabidiol, or CBD, which is a chemical compound that may alleviate pain in humans. Although there has been some research done in human medicine utilizing THC and CBD ingredients, none of these products have been formally tested in animals. Tests of the effects of these products on dogs or cats of different breeds and weight using controlled research subjects has not been accomplished to date. Much more research needs to be done. Marijuana has been used in humans as an anti-emetic (controls vomiting), analgesic, anticonvulsant, muscle relaxant, appetite stimulant and to decrease intra-ocular pressure in glaucoma. However, none of these conditions have been tested or studied in dogs, cats, birds or rabbits. Because marijuana falls under the Schedule I drug classification by the Drug Enforcement Agency, it is illegal for veterinarians to prescribe various ointments, salves and antidotes for marijuana treatment in pets. Marijuana is not approved for veterinary use and it is illegal for veterinarians to prescribe medical marijuana for pets. However, I am told that cannabis formulated from a variety of plants that contain cannabidiol is legal in all states. Much like the results shown by cannabis, Virbac Animal Health introduced a new product called Anxitane Chewable Tablets that are designed to provide a calming and relaxing effect in dogs and cats that find themselves in an environmentally stressful situation. Anxitane is a flavored chewable tablet that contains the same ingredient that is found in green tea that provides relaxation without drowsiness and has been demonstrated to improve learning. If you are attempting to train your dog and it becomes anxious, you might want to talk to your veterinarian about giving this new product a try. This product must be purchased by prescription from your veterinarian, so ask your veterinarian if they have experience with this product and give it a try. Ceva Animal Health launched a new product at the WVC called Feliscratch by Feliway. There has been an enormous amount of discussion within the veterinary profession in recent times whether people should or should not have their cats declawed. There appears to be approximately a 50-50 split amongst not only cat owners, but veterinarians as well, whether to declaw or not to declaw. It has been shown that inappropriate scratching on furniture, carpeting, curtains and other home furnishings is among the top five reasons cats are relinquished to animal shelters. Feliscratch brings a new innovative pheromone product that provides an answer to your cat’s inappropriate scratching in the home by redirecting their scratching onto the scratching post. In studies directed by Ceva, 85% of cats exhibiting destructive scratching significantly reduced or stopped their destructive scratching within the first 7 days. An even greater 91% of newly adopted cats significantly reduced or stopped their destructive scratching within 7 days. Feliscratch accomplishes its mission by combining three ingredients, a chemical that directs cats to scratch on the surface where the spray has been applied, catnip that attracts the cat to the scratching post, and a blue colorant that provides visual cues as a long-range attractant for the cat to investigate the scratching post. These three ingredients provide a long-range (blue dye), mid-range (catnip), and close-range (pheromone) which attracts the cat to redirect it’s natural scratching behavior to the scratching post. This product, if it works as stated on the marketing material may create a revelation in cat companionship. To find out more about Feliscratch go to http://www.ceva.us.com . Highly qualified speakers and researchers presented papers on the studies that had been performed to help find pain relief products, and to help lower the obesity rate in pets. These were common discussions around the convention hall at this meeting. There are several new products that address the extensive overweight and obese condition of our pet family members. In many cases, these overweight pets develop severe and/or chronic pain due to arthritis, osteoarthritis, joint disease or breathing complications that trace back to the overweight or obesity conditions. Bayer Animal Health displayed a new soft, chewable tablet for pain relief of osteoarthritis and other joint diseases. Many pet food companies had newly formulated products designed to help lower our pet’s weight and relieve some of the pressure on their joints and heart. Check with your veterinarian to see if any of these products might help your pet become the loving companion that he or she was prior to gaining too much weight or reaching advanced age and developing arthritic joints. As mentioned at the beginning of this article, money to fund research projects on pet animals is difficult to find. Much of the time the costs for these research projects is staggering. If you feel inclined to contribute to this research that could help with the health and well-being of your pet, and all pets, please investigate the opportunity to send money to well known foundations and veterinary colleges to help fund this research. I am especially fond of the American Veterinary Medical Foundation, Morris Animal Foundation, the Winn Feline Foundation and The American Humane Society. I believe it is best to go online to http://www.charitynavigator.org to find foundations that raise money for animal research. Most not-for-profit foundations are tax free organizations and your donation can be tax deductible in most instances. The more than 30 colleges of veterinary medicine in the United States also have foundations that support animal research at that respective college, and they are always searching for funding for animal research projects. It is not necessary that every pet owner gives enormous amounts of money to these organizations; however, if enough pet lovers contribute, research projects can be funded. And, every little bit helps!